Paleo dessert, anyone? 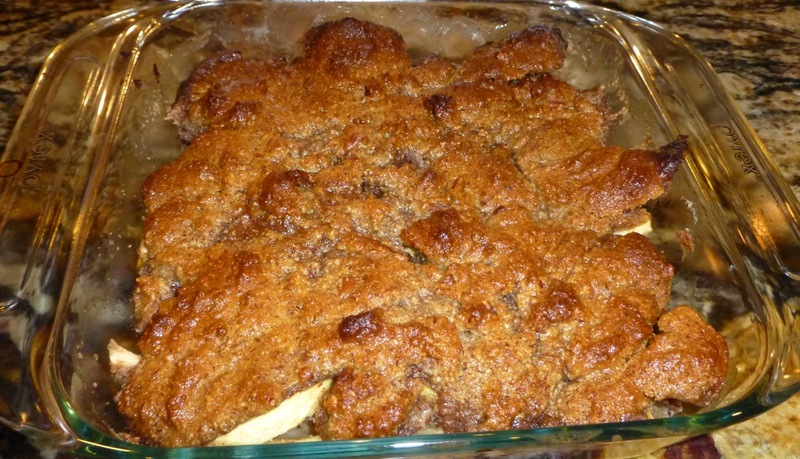 This is a very nice “healthier” alternative to apple pie or regular apple crisp that uses gobs of sugar (not healthy, not healthy). 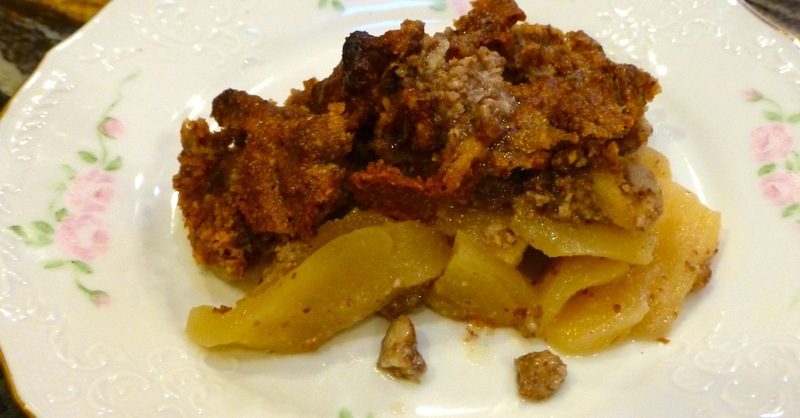 The Paleo Apple Crisp uses almond flour (it can usually be found in the baking section of your grocery store/market) with almonds or pecans (we used pecans) to make it crunchy like a regular crisp. This recipe is not heavy in the belly — very light and not overly sweet.